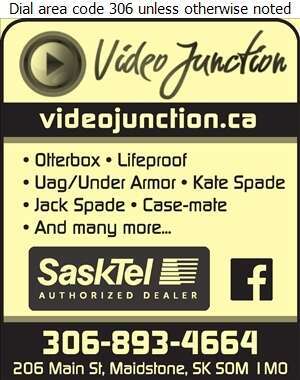 Video Junction located in Maidstone, SK is a small-town store with a wide selection of products in a friendly atmosphere. For over 35 years, we have been providing top of the line products that meet the highest standards of quality, performance and reliability to our valued customers all at competitive pricing. 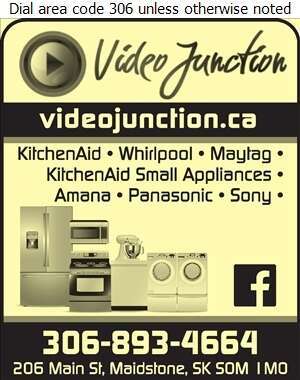 We are an authorized dealer of such brands as Whirlpool, Maytag, Amana, KitchenAid, Panasonic, SaskTel and Shaw. 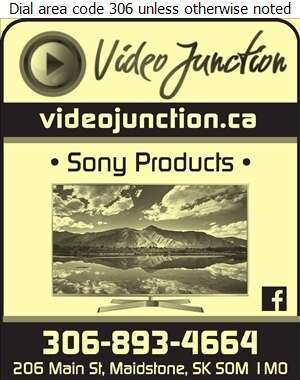 At Video Junction we are customer service driven and have friendly knowledgeable staff who can help you find the product you're looking for - whether it be the latest cell phone, cutting edge kitchen appliances or DVD and video game rentals. We are the most established appliance retail store in the area and we look forward to seeing you.